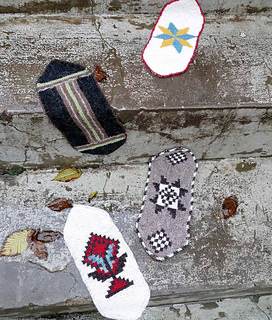 This pattern is available from interweave.com for $6.99. 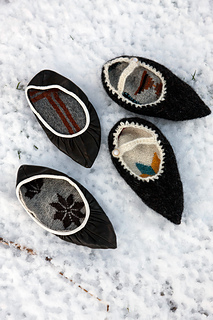 Traditional inserts to wear with the slippers (Icelandic soft shoes pattern) in the book for extra comfort and warmth. 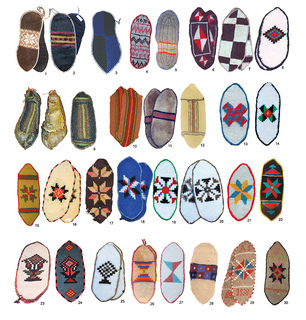 In the Old days, shoe-inserts were worn in soft shoes made of sheep and fish skin. 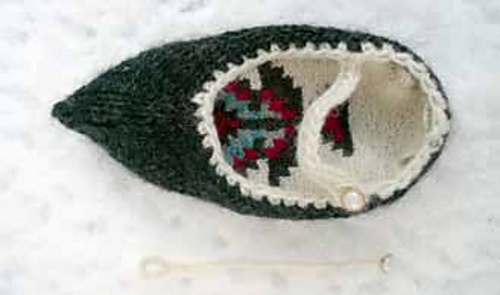 You can read more about the Icelandic shoe-inserts and the unique Icelandic intarsia in my other book Icelandic Knitting: using rose Patterns. 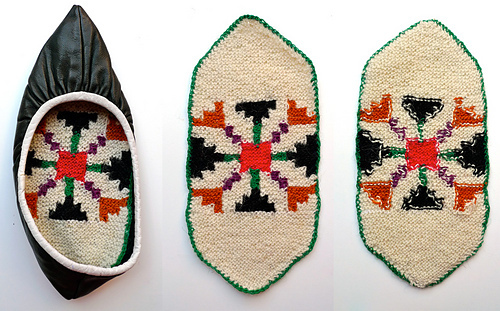 The book Icelandic handknits is inspired by the knitted artifacts in the Textile Museum in Blönduós in Iceland. 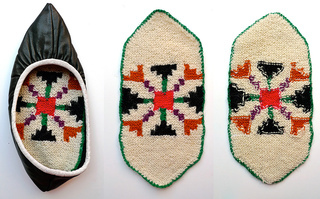 Join Hélène Magnússon’s knitting tours in Iceland for an inspiring journey to the Textile Museum and the region’s many natural wonders.